Oletko kuullut Pelikryptasta? Nyt olet. Klikkaa sivuillani olevaa logoa löytääksesi uuteen paikkaan. Pelikrypta on ykkösmesta mistä minä hommaan Necromundani! Tulossa myös Necromunda päivä, jossa pääset tutustumaan Necromundaan. Samalla, jos tykkäät maalailuistani, niin olen silloin paikalla antamassa vinkkejä. PS. Uusi Necromunda oli erittäin positiivinen yllätys. Kampanja päivitys on erinomainen ja kaikki hyvä vanha on pidetty mukana. Ikävä homma vain vanhalle versiolle. Erityisen hienoa on uudet alustat ja muoviset jengi-mallit, joista voi tehdä mielensä mukaan jengit. Games workshop released in year 2001 Lord of the Rings miniature game. (I had some wrong facts. corrected now) 2005 they released started box called Mines of Moria. It included rules, some scenery, the fellowship, goblins and a cave troll. This is what you get from Mines of Moria starter set. So now is year 2017 and I'm only 16 years late... wait what sixteen. Oh man. Well I did not even played miniatures games by that time. I managed to get hold of this starter box couple of years ago and now it is fully painted set. Phiu... One project done. I will play this game and I will play it with my good friend and enjoy it like someone did sixteen years ago. I'm very happy about this set. Game takes place in the Mines of Moria and specially in the Balin's tomb. Models was very fun to paint. I hope I enjoy the game same amount. I'm not army painter but I managed to paint 24 goblins in decent time and managed too keep good quality as well. Of course I painted eyes to every one. But these models are in normal scale and not in heroic scale as other GW miniatures. So these more smaller miniatures to paint. Terrain from the box. Some pillars, trap doors, door, well, Balin's crave and some dead markers. I have another sets pillars and door to paint. Terrain pieces from the box. The Fellowship. I have painted this some time ago but here is the new picture. The Fellowship from the box. 24 goblins armed with spears, bows or shield and swords. 12 different sculpts of goblins. The cave troll. I really like how this model finished. Cave troll was most fun to paint. My big plan is to make some more rocky terrain to do big Moria setting with ladders, stairs, walkways etc. I have more Moria models also to paint. But here is some action pictures. Fellowship is defending the tomb against goblins and a cave troll. One dwarf is still alive in Moria. Aragorn and Boromir defending Frodo. Here is some bonus model from Lord of the Rings. Saruman the white wizard. Saruman the White wizard walking in the forest near the Isengard. Saruman. I used two different wash tones to paint the robe. Black and brown. Hello. I have been very lazy about painting in this year. But I have lot's of goodies to paint and make. I have started new project again. This project is called Wasteland and its goal is to paint and make wasteland miniatures and terrain. This project will give terrain and miniatures for Fallout, Wasteland, Mad Max and other things. Also this terrain is good for Necromunda Ash wastes supplement. Also there is new version of Necromunda coming up. So here is my wasteland project in a picture so far. Some survivors and terrain. Ruins, small junk piles and a two story building. And of course a monster which can mix match with fantasy. Can you find the monster? Survivors be aware. The wasteland project is not using any particular line miniatures or terrain. I'm using all what will fit. PS. What would you like me to see paint next? Star wars, Mordheim, Necromunda, Fantasy, "wasteland" or Lord of the Rings miniatures. Please leave a comment and I might paint next your suggestion. What is the Sump? 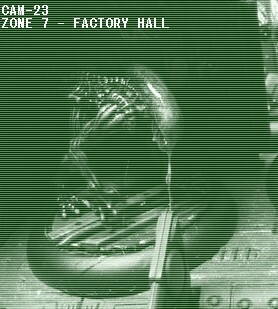 It is the lowest parts of Necromunda hive city. Nobody lives in these parts because it is toxic or poisonous area. Only mutated creatures live there... And because of that I can paint monsters from there. One common monster what lives in sump is plague zombie. Poor gangers, enforces or hivers have been bitten by these walkers making them to join their ranks. Only the strongest or luckiest have survived from these bites. There is rules for playing with zombies in necromunda. But be warned. Your gang might meet their doom against these rotten walkers. There is six original sculpts of Plague zombies. I have four of them and I have just finished painting the third. This zombie represent a poor ganger. Maybe a juve who have been a careless. PS. I have lately had very slow update rate about my posts. Don't worry. I'm up to something big. I will update more pics to my FB because it's more easier and I'm not tied to my desktop computer. You can see glint of my newest terrain project behind the zombie. Look, I'm telling ya, there's somethin' movin' and it ain't us! 1986 somebody did sequel for alien movie. It was called aliens and it is one of the best movies what I have seen. Now we are living 2017 and aliens are back. There is a new movie called alien covenant. That for the movies now. Lets get back to miniatures. Because of the new movie trailer I had to paint some alien miniatures. I just could not help it. Luckily I had unopened AVP (alien vs predator) board game from Prodos games and I decided to paint first five aliens from it. I have to say that these models are very nice, sturdy and detailed. Not much for mold lines. For the board game these offer too much building for fast start. 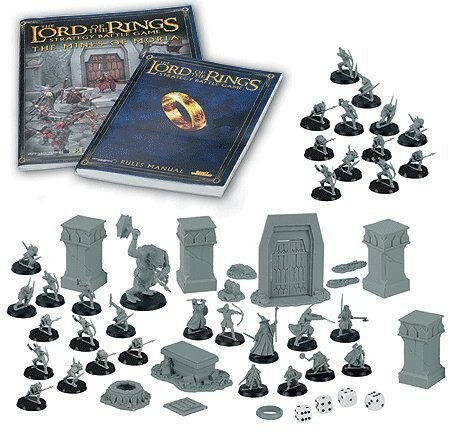 But they have done the second edition which have much more better model detailing and more board game oriented pieces. I'm very happy with the result and these buggers was very fun and fast to paint. Also I liked very much building the bases giving each alien own and unique base. I like to paint some more of these bugs and of course the bug hunters. I hope you like the pictures. Close up from surveillance camera. Here is the first five alien stalkers. Here better picture of bases. Hello. This time I have only small picture about my latest paintings. I have painted Leia and couple of rebel saboteurs from Star Wars range. This minis aren't even close to my best paintings. Also I had some big problems taking the picture. The light was all bad all the time. I really have to start learning about taking photographs or build a good studio for minis. When I had to paint two same miniatures I started to haste. I had to paint both of them same time and I really noticed myself not to give same amount time for each miniature. So the result is poor. Here is the picture and you can tell what you think about my paintings. I'm back on painting Star Wars miniatures. 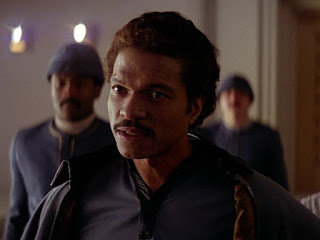 This time I have painted a smooth gambler and smuggler Lando Calrissian. This miniature was very fun to paint because of the colorful shirt. This miniature is in very nice pose giving hint of characters personality. I have to say that I'm fun of Mordheim and Necromunda but these SW miniatures have giving me more colorful approach to the painting. I don't usually use so bright colors. Also it have given me some more motivation to paint more. I very exited to paint some more Star Wars. Lando is one of my favourite SW model what I have painted and I have named it as "Disco Stu". Näiltä sivuilta löydät enimmäkseen Mordheimiin ja Necromundaan liittyvää sisältöä, kuten miniatyyrin maalausta ja pelipöytien rakentelua. You can find here mostly articles about Mordheim and Necromunda. Articles are about painting miniatures and building terrain. Sutimiehen sutima blogi. Teema: Yksinkertainen. Sisällön tarjoaa Blogger.